Applying liquid fertilizer used to be a pain in the neck. Literally. Not anymore. 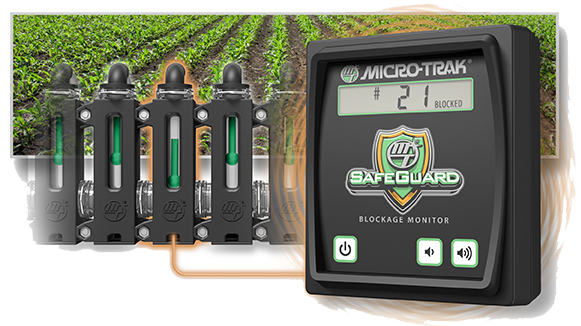 You no longer have to watch your back for application blockages. 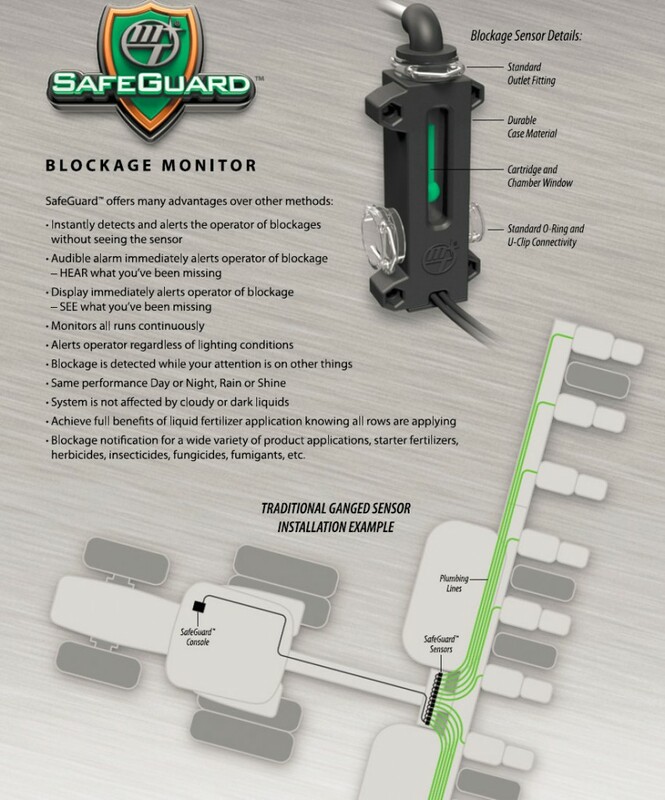 SafeGuard electronically detects blockages and alerts you with an Audible Alarm and a Visual Display of the blocked row’s number. Reduce over and under-application, save money, and apply liquid fertilizer with confidence without having to watch flow monitors or outlets. 4-36 Row kits available.